Increase revenue by targeting the right prospects, shortening the sales process & deepening relationships with existing customers. An all-in-one business management tool, integrating seamlessly with your existing business systems, that drives results with next generation technology. 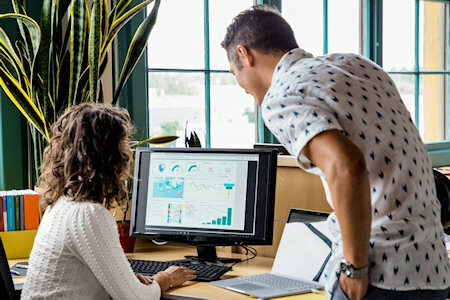 World class apps, combined with Microsoft’s powerful cloud services, focused on increasing collaboration and providing the tools to run your business. Increase productivity with adaptable business applications, powered by data and intelligence, designed for scale and automation. Automate your sales processes, from managing leads and opportunities, to generating quotes and sending invoices. Access a full 360-degree view of each customer, including a full history of customer interactions and preferences. Manage service staff, work orders, schedules, dispatching, routing and repairs all from one application. Find the right people and streamline the entire hiring and onboarding process. Find, nurture, and generate qualified leads for your sales team. Create project quotes and contracts, with specially designed templates, that can be reused or adjusted for every project.